Opponent loses half there health and cannot hurt person with this card. 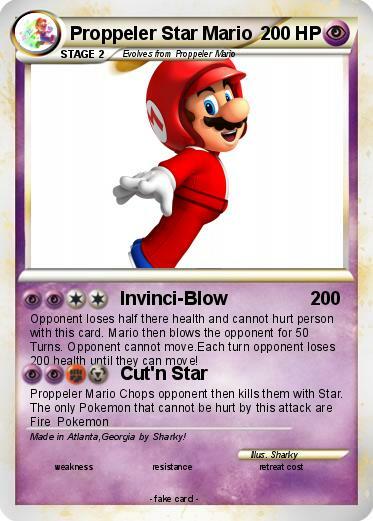 Mario then blows the opponent for 50 Turns. Opponent cannot move.Each turn opponent loses 200 health until they can move! Comments : Made in Atlanta,Georgia by Sharky!